Doug Balliett is a composer, instrumentalist and poet based in New York City. The New York Times has described his poetry as “brilliant and witty” (Clytie and the Sun), his bass playing as “elegant” (Shawn Jaeger’s In Old Virginny), and his compositions as “vivid, emotive, with contemporary twists” (Actaeon). Popular new music blog I Care if You Listen has critiqued Mr. Balliett’s work as “weird in the best possible way” (A Gnostic Passion) and “light-hearted yet dark…it had the audience laughing one minute and in tears the next…” (Pyramus and Thisbe). He is a tireless performer of new music, and is professor of baroque bass and violone at the Juilliard School. With a constant stream of commissions, a weekly show on New York Public Radio, and nearly 200 performances per year, Mr. Balliett has been identified as an emerging voice for his generation. Kivie Cahn-Lipman holds degrees from Oberlin and Juilliard and is a DMA candidate at CCM. He is the founding cellist of the International Contemporary Ensemble (ICE) with which he performs regularly to international critical acclaim, as well as gambist, lironist, and director of ACRONYM, a new period-instrument ensemble. An avid performer of contemporary music, Kivie has played more than 500 solo and small ensemble world premieres. He has recorded for the Naxos, New Focus, Bridge, New Amsterdam, Tzadik, ECM, Kairos, Mode, Tundra, Starkland, Olde Focus, and Nonesuch labels. As a chamber musician, Kivie has performed frequently in Carnegie Hall, Lincoln Center, and other major venues on three continents, as well as live on WNYC 93.9 in New York and WFMT 98.7 in Chicago. His 2014 recording of the complete Cello Suites of J.S. Bach was praised for its "eloquent performances," "fresh thinking," and "energy and zeal" (The Strad). Kivie taught cello in a full-time position shared between Smith College and Mount Holyoke College from 2005-2012 and has been a faculty member at the Cortona Sessions for New Music since 2012. Zoe Weiss leads a diverse and busy life as a performer, teacher, and scholar. She is currently based in Ithaca, NY where she is a PhD candidate in musicology at Cornell University working on a dissertation exploring experimental compositional practices in Elizabethan viol consort music. Zoe is also an active performer on both viola da gamba and Baroque cello, performing with the Smithsonian Consort of Viols, the Oberlin Consort of Viols, and LeStrange Viols, of which she is a founding member. Zoe is a dedicated viol evangelist and has taught beginning viol at Oberlin Conservatory, Harvard University, and Cornell University where she currently directs the Cornell Consort of Viols. She also teaches regularly at workshops for the Viola da Gamba Society of America and its chapters. Her playing can be heard on several albums on the New Focus label, including LeStrange's recording of consort music by William Cranford which was picked by Alex Ross as a notable recording of 2015. A new album of Elizabethan consort music with LeStrange Viols based on Zoe's research into a music manuscript from 1578 will be released April 2018. Loren Ludwig is a scholar/performer based in Baltimore, MD. He studied viola da gamba at Oberlin Conservatory and completed his Ph.D. in Critical and Comparative Studies in Music at the University of Virginia in 2011. 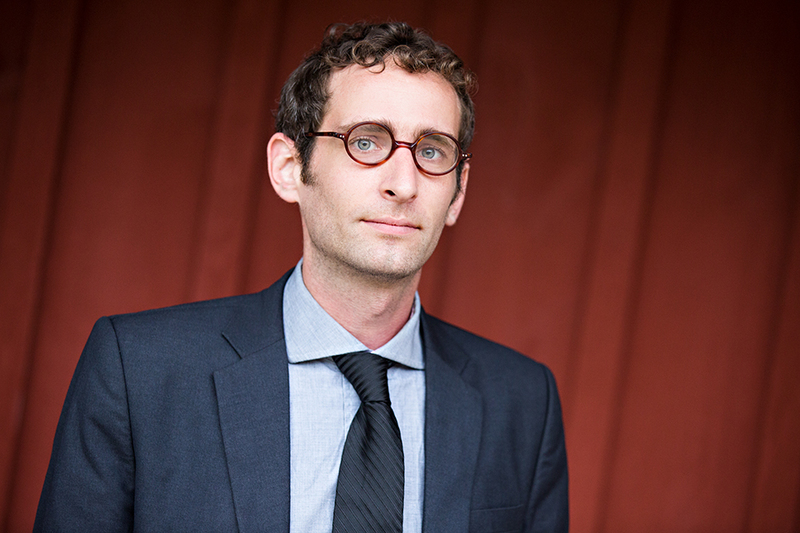 As a scholar of early modern musical culture, he researches what he terms “polyphonic intimacy,” the idea that music in the Western tradition is constructed to foster social relationships among its performers and listeners. Current projects investigate the influences of Hermetic and Catholic esotericism in the history of early modern music theory and the confluence of music and alchemy in the 17th-century Alchemical writings of Michael Maier. Hailed as "outstanding" for his treble viol playing by the Washington Post, Loren performs widely as a soloist and chamber musician on all sizes of viol. He is a co-founder of LeStrange Viols and performs with ACRONYM, the Oberlin Consort of Viols, the Folger Consort, Hesperus, and numerous other ensembles and can be heard on Rattle Records, Naxos, and New Focus. He has served as musicology faculty at the Peabody Institute of Johns Hopkins University, Grinnell College, and the New Zealand School of Music and teaches chamber music and performance practice at residencies and festivals across several continents.